Having problems with font size in some books on iOS 10? See http://help.overdrive.com/customer/portal/articles/2574801 for help. • Available 24/7, now the library comes to you. • No more late fees. Titles are automatically returned. • Place holds, create wish lists, and return titles easily. • Sync libraries, bookmarks, and recent positions across mobile devices. • A valid account with a participating library, school, or other institution is required. 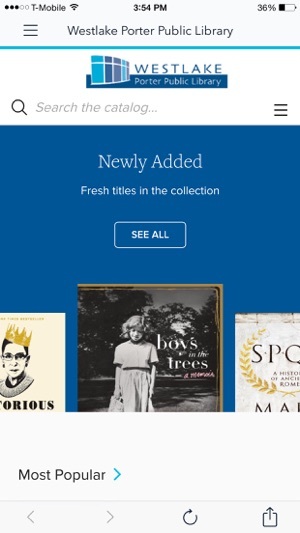 • Each library builds its own collection of titles. Contact them directly to let them know that you’re using OverDrive and to share any suggestions for books you would like to see them carry. Best app ever for listening to audio books. I love listening to audio fiction books from the free digital library, because once I have heard a fiction book, I really don’t care to hear them again. But they are very expensive to purchase. Plus these audiobooks from the library are way better and more professionally dramatized. Other audio books are okay, but nothing beats being free and high quality! I also love to listen so I can listen before bed or while taking a nap or cleaning house because it helps me to give my eyes a rest since I am constantly reading and watching tv and on the iPad or computer. That is why I totally love this app and listen to it all the time. It also helps me to escape for awhile from all the stresses of life. Maybe someday I will get more into checking out the reading books and movies they offer on the digital library apps. The digital and physical library is the very best asset a person can have when you don’t have much money. Over Drive is my first and main digital library I use, but also started using Cloud Library and checking out Libby and other apps available. I even tried a free trial to the Audible App but decided it wasn’t worth the subscription price for not really being any better then Over Drive. Maybe you might have access to more and newer books, but I never run out of good books to check out with this app. And of course, the best thing is that it is totally free! I have constant ringing in my ears (tinnitus) that nearly drives me crazy when everything is perfectly quiet, making it very hard to go to sleep. But, problem solved by letting Overdrive read me a book (if there is some sound for me to hear, I don’t notice the tinnitus). Before I lay down, I set the sleep timer for 15 minutes, then I relax while I listen to the story and it turns itself off after I am asleep. The best part is, you can use the bookmark feature to save your place periodically, then you can easily find your place by going to your bookmark and using the fast forward and 15 second advance (or 15 second back up) buttons. I use this app EVERY night. Caution: save thrillers and page turners to listen to on long car rides! For bedtime, I listen to funny, stress free stories like Janet Evanovich books- they are funny and entertaining and don’t keep me awake. Last tip, for best results to induce sleep, I listen to the my favorite books over and over. That way, I don’t have to worry about ‘missing something’. You can have up to five books at a time, so I also listen to Overdrive while I am cleaning house, gardening (great time to listen to “how-to” books) or driving (it plays through my cars speakers). Best of all, you can temporarily download the books to your phone so you can listen to it even if you don’t have wi-fi available. Love this app!!! Great app and getting better all the time! 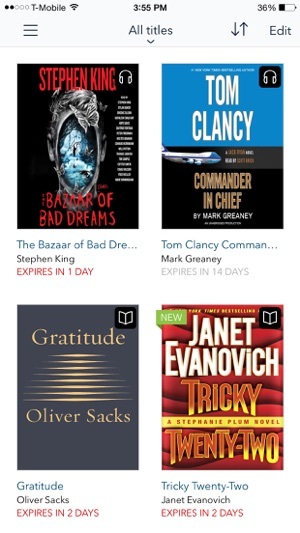 I’m very happy with the Overdrive app. I’ve had it for a couple of years now. 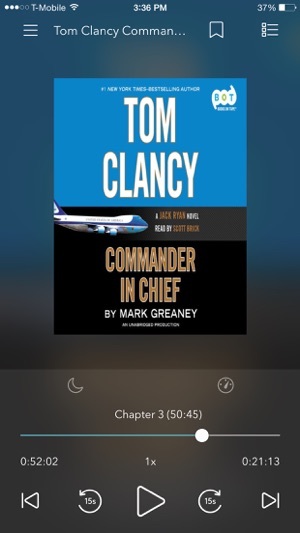 I love the easy access to library audio books and once I got familiar with the app, it was no issue to navigate. That being said, navigating it did take some getting used to. It’s as if there’s no main page, just various sections all connected to one another, which works, it’s just not what I experience in most apps and is therefore unfamiliar. 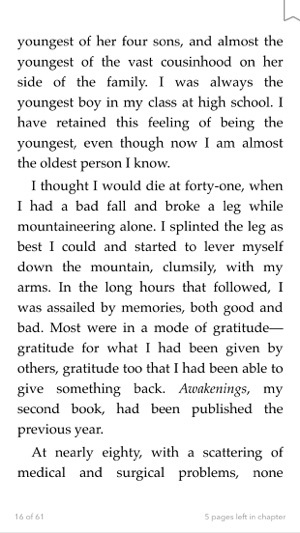 Also, Overdrive encouraged users to download Libby so I did and although I really like that Libby allows users to include personal notes with the Bookmarks, I still very much prefer Overdrive over Libby. I’m very much hoping Overdrive will add a note option to the Bookmarks section. 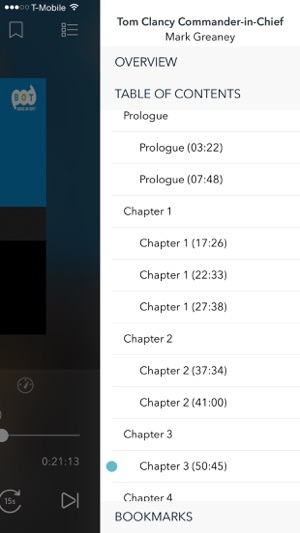 I hope Overdrive also adds a notes section to Holds so I can have a reference for the books I put on hold. I have a long list of holds and sometimes forget who recommended the book or where I found it and ultimately why I put it on hold to begin with. Also, I only use Overdrive for audiobooks, so it would be quite a time saver if Overdrive provided the user with filters that could be set permanently so non-audiobooks are not recommended or popping up in my searches. That being said, Overdrive’s response to feedback and glitches is excellent. I’m very appreciative of Overdrive’s continuous attention to app updates and corrections. I’m sure the app is only going to get better.